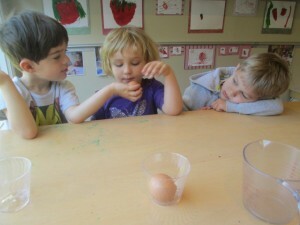 Today’s expirement was with raw eggs. We had two eggs, we put one egg in water and the other egg in vinegar. 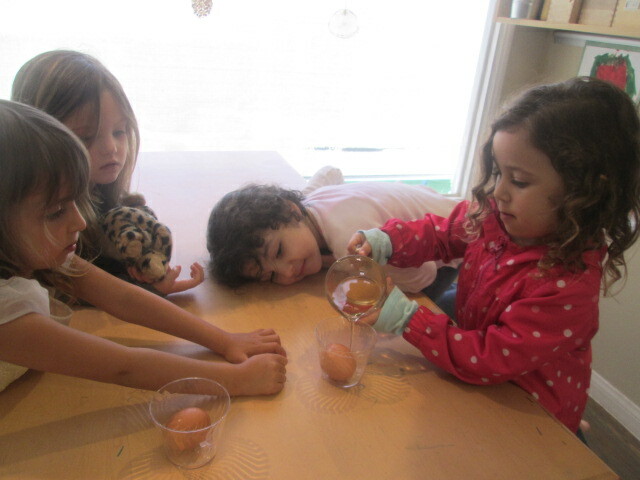 Sophie noticed that the egg in vinegar was bubbling. Oscar said “only the one with vinegar is bubbling. Lukas said “the water one is not bubbling your right Oscar.” Now we have to wait three days before we find out what happens with the eggs.